No matter where you live, by now you have no doubt heard about the shutdown of the Federal Government across the U.S. The effects of this closure are many and widely felt but today I’m not going to talk about the politics of it. No, instead I want to share why now is actually a great time to visit Washington, DC and what the city has to offer in spite of the shutdown. Believe it or not, there’s a lot to experience and since 1) it is January and 2) visitors may think there’s not much to experience, it’s probably an ideal time to visit the nation’s capital. So, to help promote my hometown today I want to share what you can still see and do even if the Federal Government is closed. Yes, the shutdown does affect some things in Washington, DC – namely, the Smithsonian Institution. The many Smithsonian museums both on and off the National Mall are closed during the government shutdown. This includes popular museums such as the Air & Space Museum, the National Zoo and even the National Gallery of Art. Also closed are the National Archives, the National Arboretum, Fords Theatre (although performances are still running) and the White House Visitor Center. The Kennedy Center has suspended tours, but performances will still take place. However, much more is open in DC than you might think. Washington, DC is a vibrant city that has come a long way in recent years. That means that while a government shutdown will have some effects, overall everything people love to experience is still available. One of the most important things to note is that the National Mall and the many memorials and monuments are still easily accessed. These outdoor spots don’t require staffing and, as such, the general public can still stop by and admire them. This includes the Jefferson Memorial, the Lincoln Monument and more. A couple of important things to keep in mind though, ranger stations and help desks are naturally closed and the Washington Monument was already closed due to a remodel. For more about what to see and do in DC during a Federal Government shutdown check out the Washington, DC Tourism page devoted to the subject. When I first moved to Washington in 2000, it was a nice city but I wouldn’t necessarily call it fun. In the intervening years though I’ve seen DC evolve in ways I never would have imagined and today in 2019 it’s a vibrant, exciting and, yes, fun place to live and visit. There are many reasons for this, including the introduction of new restaurants, bars, clubs and something called “nightlife,” which 20 years ago consisted mostly of political fundraising events. From classic soul food to cutting edge Michelin-caliber restaurants, DC does have it all when it comes to the culinary side of things. Also, since it’s a political city, there are even more places to grab a beer or glass of wine and lament the state of the nation. If you’re a government employee, many restaurants and bars are offering specials and even free meals during the shutdown, so be sure to check out everything that’s on offer. 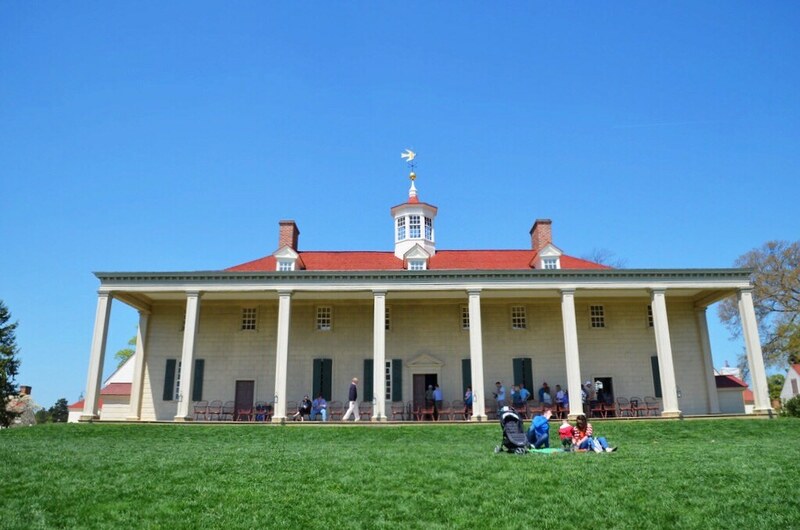 A great way to explore the food scene is to leave the National Mall and learn more about the city’s neighborhoods. This isn’t unique to Washington, but it is what makes us great. The District truly is a city of neighborhoods, each with its own unique history and even personality. Discovering these neighborhoods should be at the top of the to-do list for any visitor to the capital city. Posh and swank Georgetown, funky and liberal Dupont Circle and even the U Street Corridor all have wonderful stories to tell and experiences to share. Make sure you seek them out and spend time getting to know them better. It’s also still easy to get around using the Metro. While it has certainly had its issues in recent years, it’s how I always get around DC and the Metro is fully functioning shutdown or not. Washington, DC is an easy place to make fun of or dismiss and that’s unfortunate. Sure, we’re a city that is obsessed with politics and full of government employees, but that’s not the whole story. There’s a lot more to the District though than what you see on TV and I’m confident in saying that the city is one of the best destinations in the country that too often is ignored. So come, visit and see what makes DC so much fun, whether there’s a government shutdown or not.